In the class he learned how to cut fruit into flowers, which is popular in Thailand. I thought that sounded like an awesome class. But no, he said it was stupid because cutting fruit into flowers is a “girl’s job”. “What?!?! A girl’s job?? !” was my response. He has come to know that Americans don’t call certain jobs “guy’s jobs” or “girl’s jobs”, but just jobs. 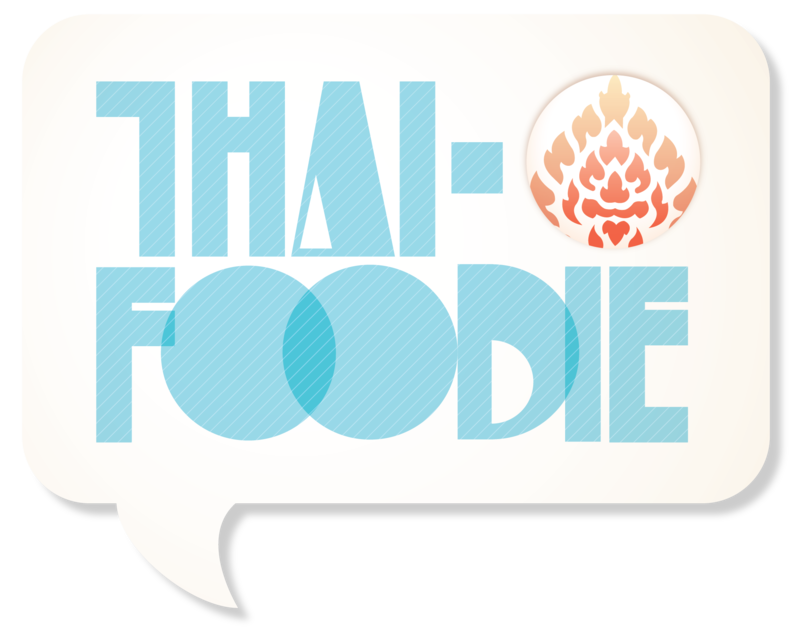 Yet, sometimes that Thai spice still comes shining through and he slips up. But even though he refuses to do the “girl’s job” of cutting fruit into flowers, he can cut a mean pineapple. You can finally learn the coolest way in the world to cut a pineapple. Shave off the pineapple's eyes (that is what they call the prickly parts of the pineapple in Thai, I love it) like you are peeling an apple. As you shave it with the knife, see where the leftover ingrown eyes remain in a diagonal spiral design. 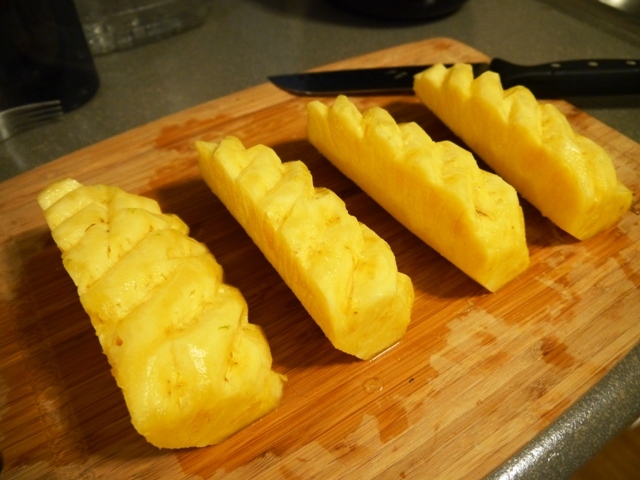 Cut canals through the eyes along their diagonal lines around the whole pineapple. Then stand the pineapple up and cut off large pieces like in the picture and leave its core. Cut into smaller pieces along the canals, and enjoy! I know! I always have Dom do it for me since I don’t do well with knives 🙂 I’m so blessed for sure to have an awesome pineapple-cutting hubby!